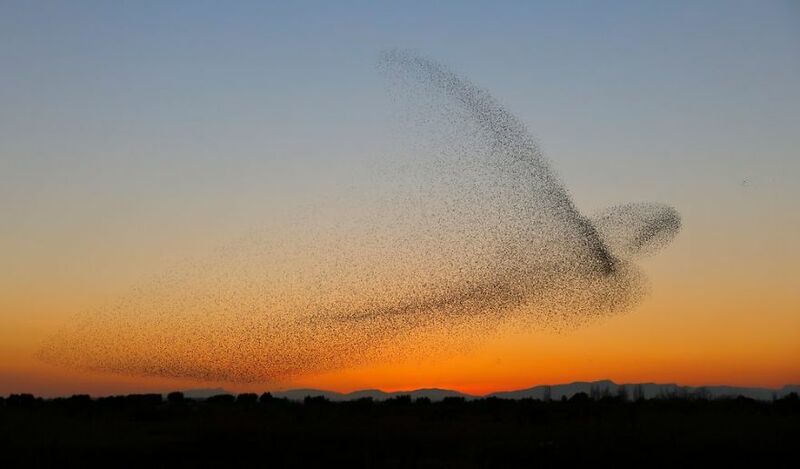 Sometimes in nature things happen that seem too good to be true! 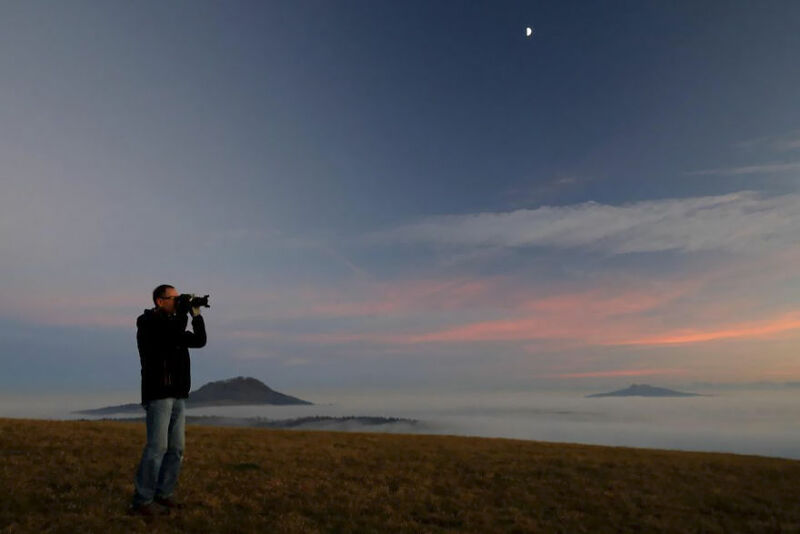 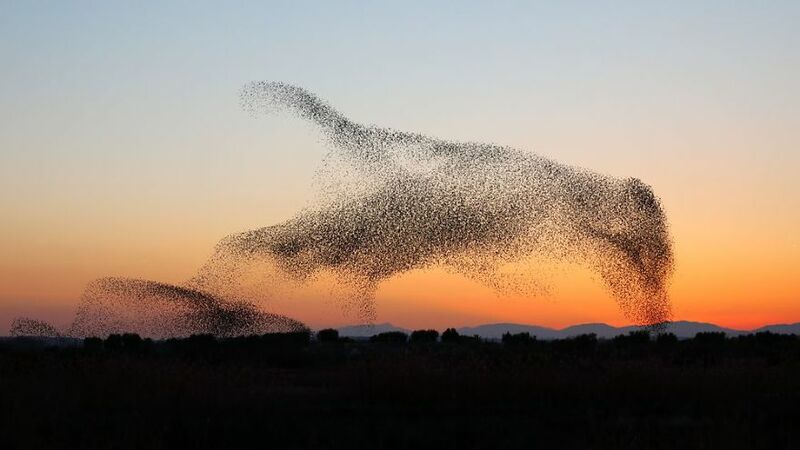 Perfect coincidences that vividly illustrate the beauty and wonder of the world around us. 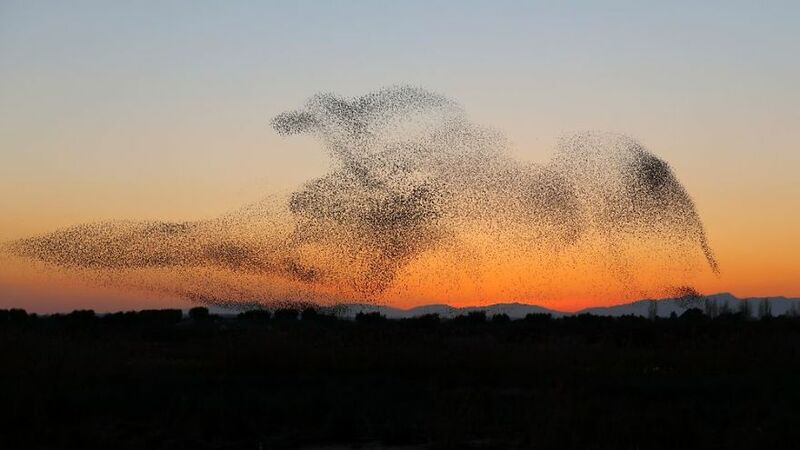 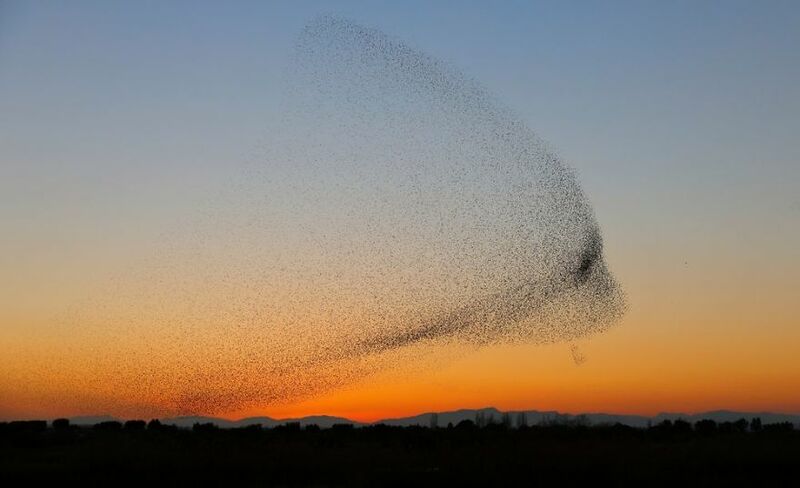 One such episode occurred over the Costa Brava, in Northeastern Spain, when a mass of starlings began to gather into a shape-shifting cloud, known as a murmuration. 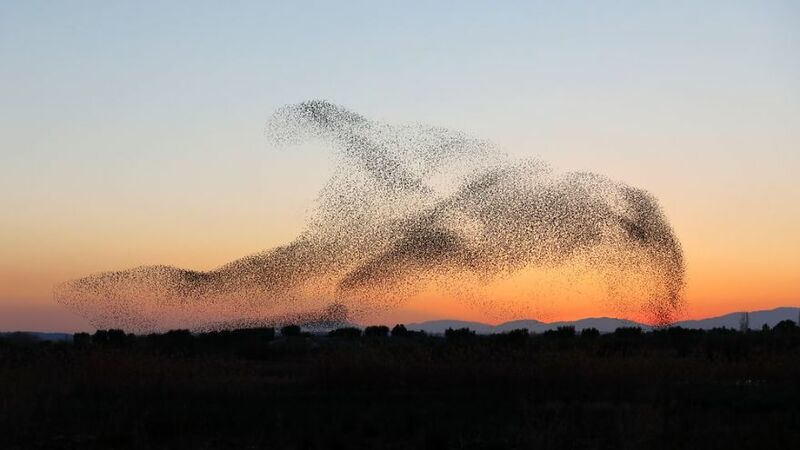 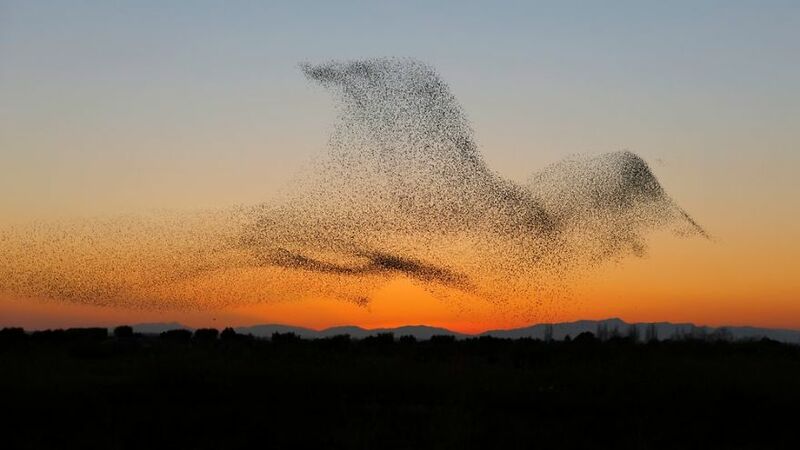 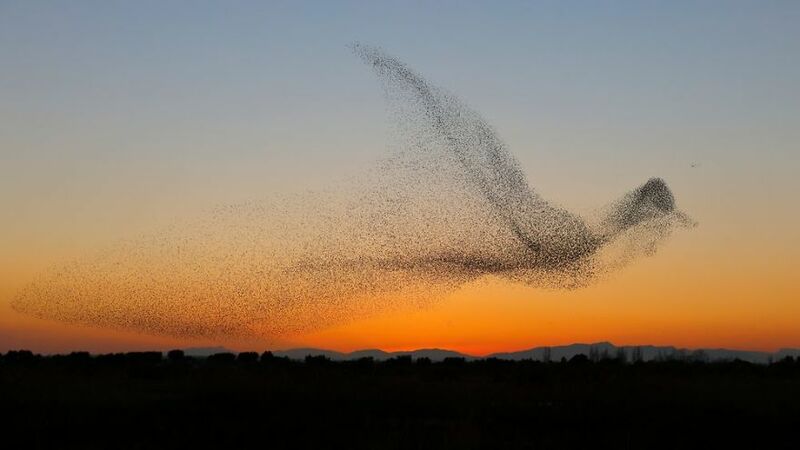 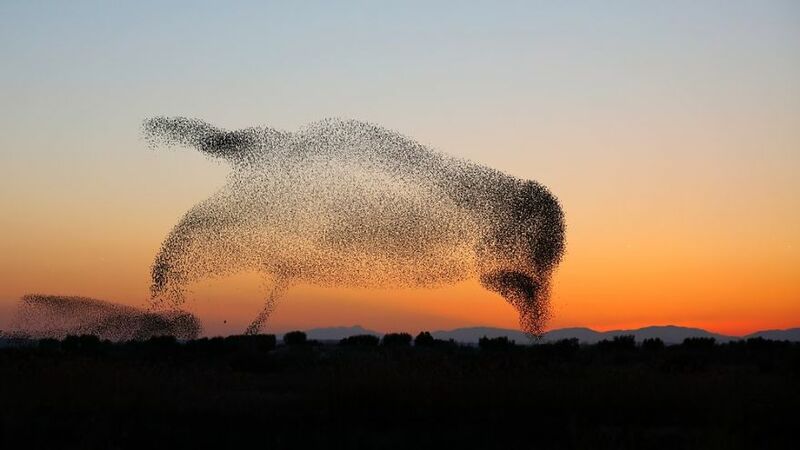 This phenomenon is a true spectacle, with hundreds, sometimes thousands or more birds moving and twisting in what appears to be a coordinated, single organism that can quickly morph into some startling shapes. 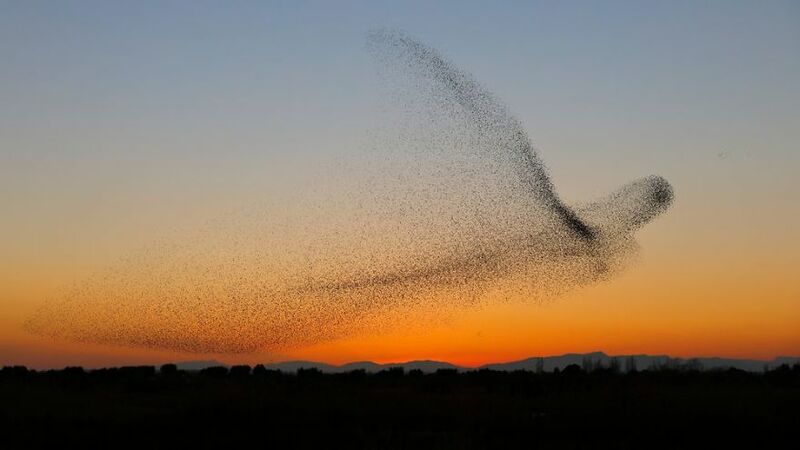 Photographer Daniel Biber from Hilzingen, Germany was trying to capture the murmuration of starlings for 4 days when he finally succeeded.